Over the summer, in addition to running Cars & Caffeine, I also worked for an area magazine publisher as a sales & marketing intern (no writing). One of the editors asked me to put them in touch with some people with cool cars that one of the magazines could profile. 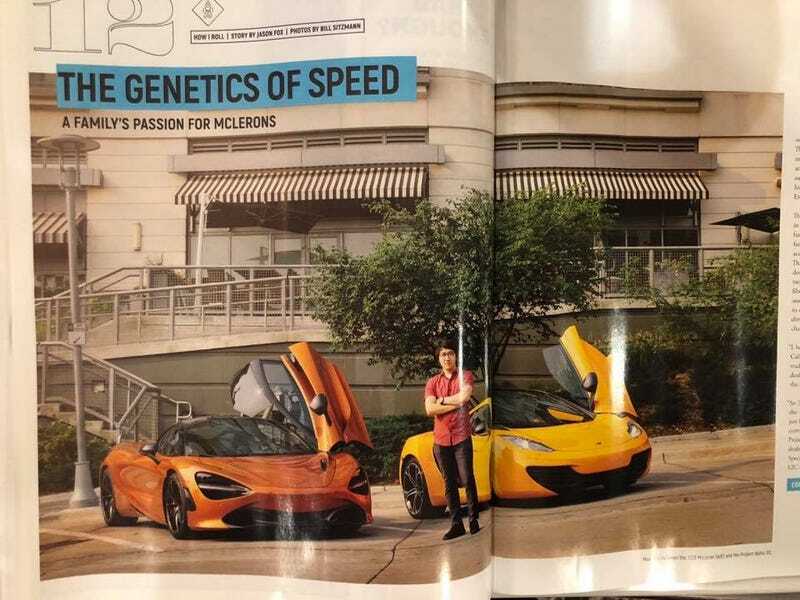 I connected them with a friend of mine, since he and his dad both have the same profession (radiation oncologists) and both own orange McLarens. The magazine agreed that it was a neat story and ran with it. It was a cool story, and you can read the digital version here. However, there was a rather unfortunate error which was corrected in the online version but wasn’t caught before it made it into the print version. Did you catch it in the picture above?